There is no doubt that Roy Jones is a future Hall of Famer. After winning world championships in the Middleweight, Super-Middleweight, Light-Heavyweight, and Heavyweight divisions Jones’ legacy as a great fighter is more than secure. Although Jones has suffered some setbacks in his career over the last decade, he has continued to fight on primarily fighting in the Cruiserweight division. 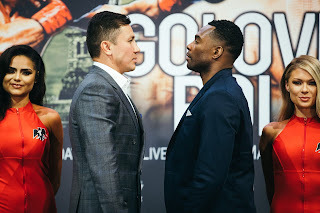 One of the more interesting storylines in the Cruiserweight division in recent times has been the momentum that Jones has gradually been building since suffering a knockout loss at the hands of Denis Lebedev in May 2011. Since suffering that setback, Jones has been regularly active facing opponents that range from journeyman to fringe contenders winning eight straight fights and earning the World Boxing Union (WBU) Cruiserweight world championship along the way. As Jones has continued to build momentum a question that some might ask is when will he face a fighter that most would consider a top contender. It was announced earlier this week that Jones, who recently became a Russian citizen will return to the ring on December 12th in Moscow against former WBO Cruiserweight world champion Enzo Maccarinelli. What was however, perhaps more interesting was the announcement that the fight would be for the vacant WBA “Super” Cruiserweight world championship. For those who may not be familiar with the designation of a “Super” champion in the World Boxing Association (WBA), it is usually reserved for fighters who hold more than one world championship in the same weight class. In cases where there is a fighter with “Super” status that fighter is considered the official WBA world champion while one or two other fighters may hold interim/regular champion status in the same division. Although this observer has gone on record in the past saying that such a structure although well intended creates confusion primarily among fans, such a procedure has ensured that top contenders who hold interim/regular champion status do get the opportunity to fight for the WBA world championship, even though fighters who hold such status may have to wait a significant period of time before getting that opportunity. What made the announcement of Jones-Maccarinelli being for a WBA world championship interesting however, is that the championship that Jones currently holds is not regarded by some as being a legitimate world championship and that Denis Lebedev, who currently holds interim/regular champion status was not involved in a fight to determine a new world champion in the WBA’s Cruiserweight division. Although some may have been questioning the decision of the WBA to sanction this fight as being for its world championship, this observer was not as critical. After all, Roy Jones does hold a world title. All sanctioning organizations at one time or another have struggled for recognition among fans and media as being legitimate, but were able to gain recognition over time. A fighter of Jones’ stature in the sport can certainly bring exposure to the WBU if Jones were able to successfully unify his championship. The WBA however, denied shortly following the announcement of the fight between Jones and Maccarinelli that it had sanctioned the bout as being for the WBA championship. Whether or not the fight will indeed be for a WBA championship remains to be seen. Although there is some confusion as to what will actually be at stake in this fight, perhaps the most interesting announcement of all came from the forty-six year old Jones who has stated that this fight will be his last. Whether or not the fight will indeed be Jones last also remains to be seen, but Jones has nevertheless generated interest as he has continued his resurgence and it is inspiring that a fighter who has been counted out after some setbacks by some has continued his career and has found success in winning eight straight fights. In regard to the fight itself much like Jones, Enzo Maccarinelli has suffered some setbacks over the course of his career, but did make three successful defenses of the WBO Cruiserweight world championship before losing the title in a unification bout against David Haye in March 2008. Following the loss to Haye, Maccarinelli went on to win the European Cruiserweight championship as well as the British and Commonwealth Light-Heavyweight titles. The thirty-five year old Maccarinelli will enter the fight with Jones having won his last two fights, most recently against Jiri Svacina earlier this month. Although one could make an argument that Maccarinelli is not the kind of opponent that most would consider a top contender at this stage of his career, the fight between him and Jones is nevertheless an interesting battle between two fighters who one might argue are at similar stages of their careers. Although as of this moment there are more questions than answers in regard to whether or not a WBA world championship will be at stake when these two meet in December, if this will indeed be the last time Roy Jones enters the ring as a fighter it will be a historical moment. One should remember despite suffering setbacks over the last decade, Roy Jones was one of the most dominant fighters of his era in the 1990s and early 2000’s. Regardless of those setbacks or what happens when he faces Maccarinelli, Roy Jones will go down in history as a great fighter. If this will be Jones’ last fight the question will be whether he will be able to end his career with a victory.